The T-56 Magnum is the next generation aftermarket T-56 6 speed manual transmission. 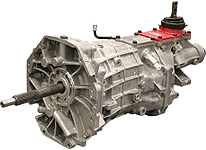 The Tremec TKO is the most popular & versatile performance manual transmission available in the aftermarket. D&D Performance offers a complete line of T-56 & T-56 Magnum replacement / rebuild parts. 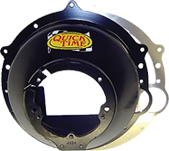 Steel, Aluminum & Quick Time Bellhousings available for most Ford & Chevy performance applications! 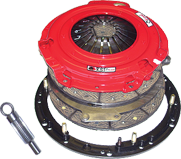 McLeod & RAM Single & Twin Disc Clutch kits available for most Ford & Chevy applications. Steel & Aluminum Ford / Chevy flywheels available for most engine & clutch combinations.